Wow! Such amazing love and energy abounds to us these days. I just returned from Denver, Colorado where I was a speaker and workshop leader at Visionaries of Light Convergence. I met such beautiful souls there. I was overjoyed to have so many people arrange a private session with me while we were together. And now, after being home for about a week, I am enjoying the company of beloved soul family members as people are arriving early at Sweet Home for the weekend event that starts tomorrow (Thursday 9-29-16) with Spirit Dance in Ceremony with Sacred Cacao. Details at https://weare1inspirit.com/downloads/spirit-dance-nashville. Friday we will take a field trip together to some sacred sites around Nashville. 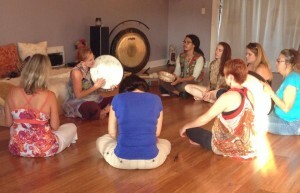 Saturday we will be in an all-day light language activation with a formal workshop. Then we will have a potluck meal together at 6 PM before our drumming circle which starts at 7 PM. I hope you will join us! See the agenda at https://weare1inspirit.com/downloads/walk-in-gathering-nashville. So why not come and fellowship with your star family? You will be happy you did.